UPDATE: The tutorial with Sam Loya will actually be online tomorrow so that our site doesn’t explode! Video Copilot Gear: Will be available from our store at the end of NOV.
Lol, funny. "I didn't even know it was Halloween until i went down stairs and saw the Christmas tree and the presents." Watching it for the third time... cant get enough. For your, um, scientific study, you also need to take in the possibility of someone making their costume, rather than buying a generic one at a store. You get more candy if you're creative with you're costume because I got 7 pounds of candy when I went as a giant sandwich! Hey, you need to do more blog shows... they are awesome. i like watching them.. and btw, i bought a shirt and hat a long time ago. i wear it everywhere, but no one ever says anything... dumb people that don't know videcopilot! Yes, that's it. I really like this. It's very special effect. Andrew Kramer is a professional. I just have to get this off my mind because...well it's been nagging me. I'd like to see a video blog from Andrews wife! Call it "Living with Andrew". Seriously! Andrew is a kick to listen to and watch. But what is it really like to live with a genius like him. Ahhh! That felt good. I can now get on with more tutorials. I eally enjoyed this and laughed various times. Cool stuff! More video blogs! Where are you Kramer? Probably saving a virtual world I'm sure. Thanks For Blog Show ! Please Make New Another Blog Show ! We want to see the making of sam vs sam video. please andrew post it as soon as possible. Would love to see a lot more of these blog shows! Keep up the fantastic work VC! Happy New Year Andrew (and the rest of the team). Update the blog show whenever you can please. Perfect xD... This is very cool!!! It was a really cool show like usual1 Really cool to see these behind the scene stuff! and don't forget your pepsi can for the next show!! dude i love ur tutorials and this blog was pretty cool but the main thing i wanna know is where u got that hoodie! i'd definitely get one, so if u could email a link to buy it or atleast the store u got it from that would be appreciated. Is that a B.L.U.E. Mic that you're using, I can't tell but it almost looks like a cactus. hahaha sam shooting himself. can you do a tutorial on the effect from jumper. also including the jump scare. Thanks a lot for all your great tutorials ! As always your tutorials and blog's are amazing. I'm buying the 10+1 pack this Christmas. Can you please make a tutorial on your "Video Copilot" intro video where the ground cracks infront of the title and explodes up into the air? Uhmmmm I want to buy a hat... where can I get it? I don't see it in the products area. Nice. Looking forward to picking up one of the cool 'Video Copilot' hats! I need a new cap. Hi...nice... i love the "blog show". can you make a small tutorial on the next blog show how to make a lightsaber fight. when the saber touch each other and it get like white....please i would helped me allot...thanks!!! I'm very enjoy to sit down and watch all your videos. Love the "Blog Show"! Thanks for giving us the "Inside Look" of how things develop! The effect explosive effect looks great, I think there's blood missing from the boots, it looks kinda out of place with out it. Loving the show Andrew, keep it up! So what did the Kramer clan dress up as for halloween? Any pix? wow amazing!!! Andrew you guys should definitely show more backstage filming with Sam, i love it! i can't wait for the hats!! thanks again! Wow Andrew. Pretty awesome. Loved the show, and the hat looks cool too! Might have to get that for Christmas or my birthday. The show gets better every time. This was the greatest BlogShow yet! Love the behind the scenes, your usual humor, and even a bonus little short! After just receiving my copy of AE2, it's great to see you start using these elements in tutorials and in the show. That short was fantastic and hilarious! I'm on my way to watch the tutorial now. P.S. Are you sure you used the USPS to ship my AE2? It looks like a gorilla shoved it in my mailbox, pretty much destroying the DVD case. Thankfully, the discs are perfect, and that's what matters. SAM vs SAM.. I Laught so much that I thougt my bowels was going to sputter out on the ground!!! Jawoll, your blog show is great, i want see more of the cool stuff behind the scenes. nice greets at the videocopilot team from berlin, keep it up. Hahaha awesome, Sam vs Sam was hilarious. The behind the scenes for the tutorials is great, would love to see more of it. Hey, I want one of VC hats, how can I purchase it from Brazil? ...still trying to wrap my brain around the words "Video Copilot warehouse"... you're come a long way in a short time. When do we get a video tour of the new digs??? Wow... the "Video Copilot Warehouse"... very impressive. Why do I get the feeling that those walls will be green within months? How many time have you kileed Sam?? I need to know how to buy a VCP Hat!!!! love the show.....keep it going. P.S. SAM you are AWESOME TOO BRO! WOW!. Can't wait for the hats! This was exactly what I wanted out of the Video Blog! Short behind the scenes and on the set clips to go along with discussions and tutorials! Please keep it up for your tutorials! As for the Goonies, that just made my day. So glad you decided to do the video blog. I recommend your site at least five times a week and this kind of personal touch just makes it that much more pleasant to visit. I've done a lot of work in tutorial production and I am always impressed with your proper ratio of quality:interest:humor. Keep up the great work and thank you so much for all the AE help! btw - Goonies bit gave me no choice but to post. Well done sir. Well done. Wiggle. More wiggle. And Andrew Kramer. Hey Andrew! ever try other fx programs like the "FXhome" (http://fxhome.com/) products? What do you think of them? and would you make some tutorials with them? U`re so cool how you did it? i want know more about it could i? It's 03:40 (am) here in the UK, guess I'll be wawake for another hour now... gonna watch Lightning strike part 1 twice !!! I can watch out for your video..
Sold all my halloween candy the first week of November for 35 bucks, no joke. Where'd you get your hoody? It's freakin' awesome. Brilliant Vlog, I always find them exciting - even when you do trail off ! nice..keeping a eye out for the tut. All the guy in here who are Dads have a pretty good idea why it's not out! He's asleep on his feet. And he'll STILL have to get up maybe three or four times TONIGHT too. Would you let us know what camera you use? Oh and how does Sam keep coming back to life? This tutorial looks absolutely amazing! So many different technuiqes involved... I can't wait to try it out for myself! The blood on the lense and the ground looks sick! The CC is great as always, and the lightning strike looks very good! You did a great job on mixing the RL elemtns, such as the blood splatter and sparks, with the CG elements. It's also nice to see you bringing back some of the technuiqes from some of the older VC tutorials, such as the rain drops on the lense, and don't forget the sky replacement! Breathtaking as always! I can't wait to see how you made the water on the ground splash. I've been trying to figure out how you did it, but I can't seem to make it look right. Maybe the reason why I can't re-create the water exactly, is because it's RL footage from Action Essentials 2? Keep up the great work! You're truly an inspiration! this blog shot was great! loved the behind the scenes footage! amazing job on sam vs. sam! the camera shake looked very convincing as well, would you mind sharing what values you put into the wiggler for that? all the ones i've tried never look that good. Great Job, I loved the Goonies reference. I like how in these video posts you can cut away and show some behind the scenes stuff on how things were set up. Keep up the good work. but....i give up im going to bed :( tut. Oh, Andrew hurry up with this tut, gotta get up early tomorrow and it's midnight here in London. Anyway, the blog show is evolved and I really like it, keep it up. Andrew . R U gonna have any other promo anytime soon? I missed the one you had last week ( 25% off). Well, I've got enough after effectsing to do for tonight, so I guess I'll just stay up to see the tutorial tonight ;). Almost midnight out here..
That's not nice for sam. "Well, it is Halloween... And people got to die..." Poor Sam, haha. Comom Andrew! It's the tutorial time! Man its soo late here in Germany. Can u tell us where u got the bubba gump T? Ta. The website is still going to explode. There's probably several hundred people anxiously refreshing so that they too can get a chance to strike Sam with lightning. Are u uploading the video tutorial today? I am anxious waiting for it. Would you be able to give us a full behind the scenes for both tutorials? Also what was that fog thing you were spraying in the warehouse and where did you use it? Exelent preview, Andrew! Greetings from a Estonia. As always there Andrew another FANTASTIC 'video'. Loving this new video blog/show thingy! "Catch you" ...I guess I completely missed the AE parts. As far as I can see you haven't "started"
I could post a list of traing and marketing videos for insurance agents that's hundreds of clips long, but I can't because they're for Agent/Brokers Use Only ...that and I wouldn't because they're banal and would throw people here into chronic and acute fits of ennuie! Are you going to release 2 tutorials? One for the lightening and other for the clones? This show was fantastic It was so fun to watch it. And I like it very much when you show "behind the scenes footage"
Anyways Keep up the good work and Awesomeness. Video copilot is the best! Hey Andrew, way to dump out 6 gallons of water. California isn't in a drought or anything, but I guess as long as its constructive its ok :D.
YES !! I requested the blow up effect from District 9 and BAM, there it is, with a twist! Awesome, just awesome! Hey Andrew you could upload a video showing us your new office,your place,how is your day,where you live and stuff like that!! I would like to say thanks so much for all these years learning with Videocopilot! Simply love this one Andrew! Absolutly briliant! Hey Andrew, Great blog ! Where can we get the cloud in a can ? By the way. Just a suggestion: What do you think to put one of the San's boots falling on the ground, when the lightning destroyed him? You know? More realistic, I think. I want the Video Copilot hat. What can I do to order it? Greetings from a Brazil's fan! Looks good, However I am really interested in the ground breaking and floating effect you did for the title card. It's perfect for a short film I've been wanting to do. Any chance you are going to make a tutorial or blog post on the setup of that"? This was so good I had to watch it 3 times. Hope we won't have to wait long for the tutorial, I have a neighbor I want to get struck by lightning for drilling while I'm taking a nap. Wrapping him up in tinfoil and tying him to the chimney didn't work out well last month. Love the behind the scenes footage..I hope you will do that a lot.. I need one of those hats!!!!!!!! hi have to say i have been on this website every day for about a year now and i love everything you do i liked how is this little movie you show use how you filmed a lot of it and i hope you keep on doing that. you are amazing Andrew Kramer! This really looks like getting shot by the arc gun from District 9, awesome! Too cool....I loved the good-guy bad-guy part of Sam....I didn't expect the bullet ricocheting off of things and hitting him...but it was cool to watch...also loved the exploding Sam....WOO HOO! I really like the Blog show. wow he blows up like in "Watchmen" ! gr8 going as usual Andrew & Sam!! Hmm, an interesting discussion to be had on the gear that you use. Not just the camera but I'm assuming there's a 35mm lens adapter *or* is the depth of field in Sam vs. Sam created in AE. It looks more organic to me so I'm guessing a Redrock or similar. I believe I've seen the snout of a Kessler crane on the site at some point as well.So how about a rundown of the VideoCopilot gear horde, what's hiding under the Rycote wind suppressor, what model of Blue mic are you using for the voiceovers and what's the ratio of brand name versus home brew tech in use with team Kramer? Yeah, which camera did you use? how do you make the video copilot floor exploding intro to your vids? maybe a tut on that? Hi Andrew, phenomenal Blog Show! Great!!! ;o) One short question: Wich camera are you using for the shooting with Sam? I can't believe no one has mentioned the use of the Optical Flares in this video blog! Nice Andrew, I like them!! 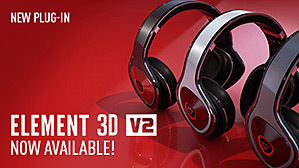 When will the be available? I gots to have them!!!! I'd love to know how you did the rain so well, I tried to create some rain a few days ago in both After Effects and 3ds Max. Everything I tried, failed. I haven't entirely given up, I am still looking around to see how it can be done well. 3D and 2D mixed or what? Poor Sam he always die in the scenes hahaha! You Are No.1 For Me And ... ! it's perferct quality, i want to know, to collect the money and buy one for me! OMG, That is so funny. Love the Goonies reference. I love that film, one of my all time fav's. As always, you and the team, over at VideoCopilot, do the best tutorials and it has to be said the out takes were brilliant! More blog's like these please. Looking forward to the tutorial as always..
HAHAHAHAHAHAHAHAH. I was so much laughing about the scene where he shoots himslef. :D:D:D:D:D:D:D:D:D I was really laughing out loud. finally a tut with dismembering people, blood n' gore! Thank you so much Andrew. Can't wait til' tomorrow! As for the static trees at the end... you will see in the tutorial the trees are not static. In the example, I decided to make Sam explode at the last minute so I didn't recomp the backplate from the source footage. Andrew, when will the tutorial be released ???? After Sam explodes the Trees stopped mooving. I'm also wondering how you would fix the problem with the wind. The tree on the back end isnt blowing at all, probably since you did some scene extension there. WHOA! nice tutorial! I expected to see it now allready, since i was refreshing the page for hours yester day night (i commented at 21:54 local time here) and not it's 11:20 here, and the tutorial still isn't up, is there something wrong? Or is it just becoming evening there? This was freaking hilarious! I actually watched it 4 times to take it all in, but man this funny on so many levels. Excellent stuff man! I'm using electricity powers and lightning in a VFX film I'm working on, so you came right on time once again! sam vs sam and the new tutoiral.... niiiiice! Awesome blog show. I chuckled through 80% of it. GLAD TO SEE THE SAM MAN BACK! Hey I'm looking forward to that tutorial! I also did a lightning effect and a short breakdown vid. Btw, the lightning, Is that the built in "Advanced Lightning" or did you composite it on your own? haha oh man you are funny man : "stand in hobo" then "actual hobo"
I'm very excited for those tutorials! And I really enjoyed the use of your new lens flairs, they look amazing! Dude love the blog shows but where can we buy the hats and shirts? Do a tut how to do a good video podcast like this, what cam, mic, light and codec setup? this blog show was amazing. Now I'm motivated to carry on. what about those caps? price? hey Sir Andrew Kramer. .
and especially how can we buy the VCP's T-Shirt. .
that you've showcase to us. .
anyway. . your right. .
thanks for some nonsense blogs. .
more power VCP. . and please. .
release the Optical Lens Flare ASAP. .
i love the behind-the-scenes. you should show all the behind scenes if the tutorial has one. we can learn a lot more if you do. can't wait for the tutorial. And this is why I love your site/company! Liking the behind the scenes look bit. Hmm, the tree stop moving after the lightning blast.. weird..
Craving to see the tut. It is the first time I saw sam and he already dies ?! haha...I like this video...Sam Speaks. heartfelt greetings to you and your kinsmen Lord Kramer. In a future tutorial it would please me to see Sam Loya consumed by a ravenous swarm of ants! when can i buy a hat???? tutorials getting better everytime, i was blown away, especially by sam vs sam very comical. I hope the 100th tutorial is something super cool, but once again THAT WAS AMAZING! LOL - ...people gotta die. Halloween is a fun time and that v_blog was funny! There you go cousin keep the good work up!! Proud of you! God bless. I gotta get me one of those hats. 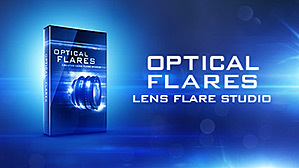 Hope it's in the blog post tomorrow ;) Or maybe free with the purchase of Optical Lens flares? ;) HA HA! So can I get a hat the same place I can get a shirt? MICHEAL BAY vs ANDREW KRAMER... I'm confused, who's work do i admire more? Silly Troll! Keep 'em coming! Hey! Im such a huge fan of the site! I have been working in after effects for about three months now, and every day I feel like I learn twice as much as I knew the day before! Your tutorials are really great, and have been the main factor in the motivation behind my work. Do you have any suggestions as to a plug-in that will allow text to be extruded in 3D? Because I currently use the shatter effect, but lighting gets a little iffy on that.I was just wondering if you use any plugins for that! can't wait for the upcoming tutorial!! especially sam vs sam. . NICE!! Love the sam vs sam skit, and the new tutorial! PS - Aside from the topic, I have a question. There is a lot of controversy going on over what editing software is the best: Avid, Final Cut, or Premiere Pro. They say that premiere pro isn't even a factor, and that Avid is more top-of-the-line. Although I have had experience with all three, I still find Premiere to be a very good tool, although they choose to rule it out. My question is, what do you think is the most effective tool for professional editing? can't wait for the tutorial.. It's gettin' there man, it's gettin' there. Love the video posts man, more behind the scenes! It's a shame that you had to kill him. Cuz ... we all know that Sam has no evil twin. You can't foul me with your special effects ANDREW ! He probably knew to much anyway... I can understand and forgive. All in all a great blog show, was nice to see the Video Copilot studio. hahaha! i rofled so much on sam's face on the sam vs sam scene xD gj andrew as always.. 1 thing i noticed even from the first time i saw the video is at 5.05-5.07.. sam's clone is not there :P well anyway we are w8ing for the tut! I think you could've had a more Halloween inspired tutorial, though somebody finally died a gruesome death. Maybe, for the next tutorial, you could have Sam transform into a werewolf, or ...a Jack Russel Terrier? Besides, all the Halloween stuff will be on sale tomorrow, so you could even save a few dollars on supplies. It's a shame it couldn't have been done FOR Halloween, though. Keep up the great work Professor! Awesome, well done! Very entertaining! Goonies music was killer...HAHA! Well done! I am still laughing! Oh yeah, thats a sick idea stef, we totally need some videocopilot mouse pads. Anyways, awesome "blog show" looking forward to the tutorial. Are you just going to give away the blood and stuff? I guess I have AE2 so it doesn't really matter, but I was just curious. you are truly one of the greats. Look forward to every tutorial. Keep it up Andrew. AK video blogs are great!! Sam has lines this time! He is such a great actor! Oh man that was great! Sam Loya Fan Club page... do want! Sam Loya t-shirts, posters and jammies for the kids, a goldmine I tells ya. Must say I'm bummed by the timing of the announcement of the hat. I ordered three DVDs that should be arriving any day now, if I had known I'd have ordered a hat as well, since my hair takes no rigging whatsoever. That's very cool! I really love your Tutorials and Blog Shows!!! Will the hat help me pick up chicks? Can't wait on that tutorial! Andrew - I loved the Goonies reference. This is the biggest LMFAO you have provided in all of your tutorials. Thank you and Happy Halloween to you & Sam! Random question....are you wearing fallen sneakers? Cool, cant wait for the tutorial. Maybe you should have a tab for VCP gear where we can buy the hat's and t-shirt's, coffee mugs, Halloween masks of you and Sam, pajamas, etc. Wow! For sure a hit ! You sunk my virtual minds eye battleship my friend . Happy Hallows Eve ! Wow, the backround looks interesting with all the buildings and lightnings behind the clouds. Can't wait for the tutorial! Keep up the great work! also, Love the Bubba Gump T-shirt! lol. i hope the tutorial wont be up late ..please! Love the behind the scenes part.. Always love to see what happens behind the cameras! And also, what do you think about the new show on discovery science? It's called 'Science of the movies', except for that guy being too happy about it, what do you think? Show us more of you and sam (and the rest of the crew, ofcourse!) behind the scenes, and I do like these little movies! Thanks for being so involved in the AE world! Wonderfull, Andrew You Make My Halloween!!! Can't Wait until tomorrow to see the tutorial, but first I'll gonna buy the Blu Ray of The Goonies! I Love them and I appreciated you making the scene of the Fratelli's escape from jail in the blog show. What a movie and what a soundtrack! God i loved this blog show! Great video blog and a pretty cool Forrest Gump t-shirt. Where cna I buy Video Copilot cap and T-shirt? On the face of it, it seems like Sam has lots of a.....um.....issues. When the fact of it is - he's doing what came from the pen of SOMEbody else. Andrew, Will we be able to download the Sam vs Sam video from VC.net? I did a lightning effect too today! Hahahaha, you guys crack me up. I'm seeing some nice compositing in the rain shot too, the clouds and city in the background. Also nice to see that you keep thinking of new creative and innovative ways to kill Sam! it smell very good! concerning halloween in France, commercial try to "impose" us this celebration 3 or 4 years ago, but people dont really know the..." background" of this celebration, they just saw that was a huge commercial operation. so in France halloween is not so expensive. Can't wait for the tutorial :). Sample video is amazing, both of them. Always inspiring us, thanks. Andrew, Is here any thing changed to your servers or Bandwidth of the streamed video. I love seeing the BTS!!! Filmed with a tripod and wiggle added in AE. Good Catch! Is there a tutorial for the intro on the blog? So where do I order my hat? Always good to see how high goes this pilot ! thanks so much for your amazing energy Andrew. Sam Vs. Sam was amazing, you should post it as a separate movie, it was hilarious, amazing job! By the way when filming Sam Vs Sam, did you film on a tripod and use a wiggle effect in AE, or was it filmed hand held and motion tracked? Nice job! I can now actually see what it's like when it comes to filming. by the way could you also make a tutorial on the composite of sam shooting him self, not the cloning or bullets bouncing off stuff just the end bit. you make all the elements go together so perfectly bravo! Cool beard, man! Awesome blog, keep them coming! Lmao i was reloading the page for the last hour, and I reloaded it right when I guessed it! I'm so fricken excited for this tutorial! Man, iÂ´ve been refreshing the page the whole day. Cool!